The IP3 Series Pedestal is a modular parking pedestal with a rust-free anodized aluminum tower. It is available with or without an IPLC control. Combined with an IPLC Control the IP3 Series Pedestal averages up to 65% in power savings. The optional IPLC Control is a smart power receptacle which measures temperature and wind chill. It comes factory programmed to automatically regulate the optimum power flow to ensure strong starts at any temperature. Its' user friendly design identifies if there is power at the plug, and if the users block heater is shorted or has a break in the circuit. 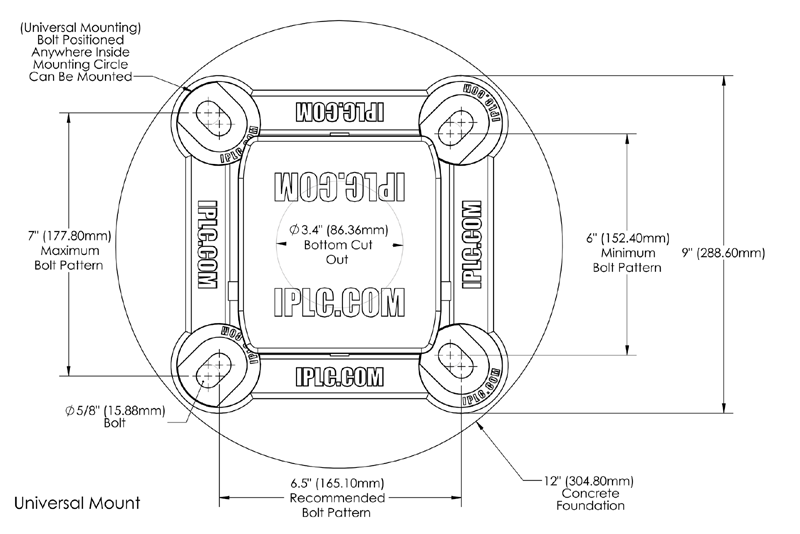 Each IPLC Control handles two circuits and is provided with factory programming. Each outlet can be individually programmed to suit specific needs. The IP3 Series Pedestal is anchored with universal mounting rings made to fit standard 6" and 7" grid mounts. The unique mounting system allows for a quick and easy install on a wide range of configurations. 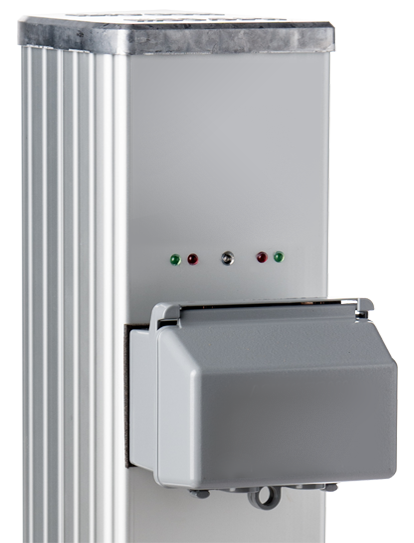 The IP3 Series Pedestal is engineered with a sliding enclosure which provides easy access to all connections. The sliding panel is secured with a lock to prevent any unauthorized access. 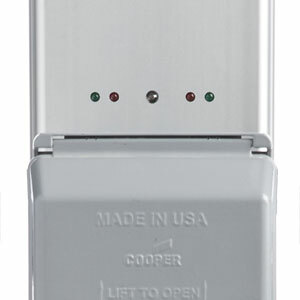 Combined with an IPLC Control the IP3 Series Pedestal averages up to 65% in power savings, stops tripped breakers and provides diagnostic feedback through LED indicator lights. 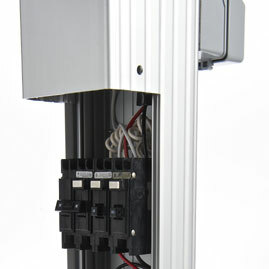 The IP3 Series Pedestal is available in single and dual control configurations with 45° down or FS Box. 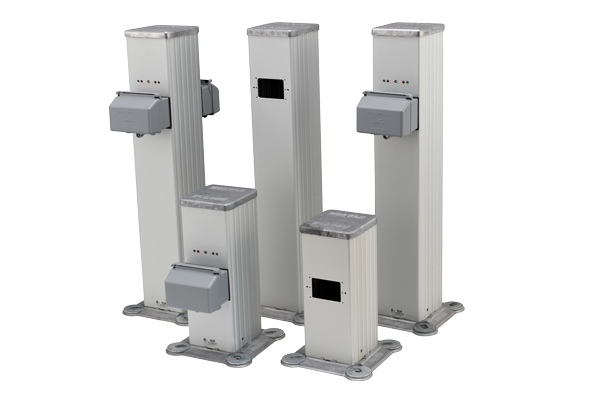 In addition, the IP3 Series Pedestal comes in both 15 and 29 inch heights to meet the needs of any parking lot design. Optionally you can pair the IP3 Series Pedestal with an IPLC Control and reduce your parking lot power consumption by up to 65%. Learn more about the cost savings potential of the IP3 Series Pedestal and IPLC Control by instantly generating your parking lot savings simulation report. Certification The IP3 Series Pedestal is a CSA certified product in Canada and the United States of America. Rust-free anodized aluminum tower construction. Available in 15'' or 29'' pedestal heights. 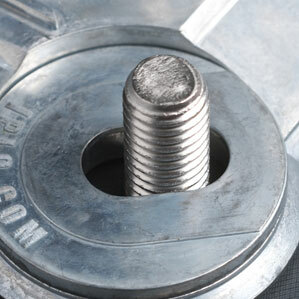 Pedestals anchored with universal mounting rings designed to fit 6'' or 7'' grid mounts. Available with or without the IPLC control and in single or dual control models. FS mount with in-use cover. PDF of the IP3 Series Pedestal installation and commissioning document, includes installation instructions and factory default program parameters. PDF of the IP3 Series Pedestal installation and commissioning document (FRENCH), includes installation instructions and factory default program parameters.